William Butler is a huge mainstay in the Horror genre, not only starring in some of the biggest cult films the genre has to offer, but working behind the scenes in make-up and special effects work as well. He has written scripts for the Ginger Bread Man and Return Of The Living Dead series as well as directed a few of those films. He has also worked behind the scenes working in the make-up department for Army Of Darkness and working with special effects for such blockbusters such as Small Soldiers, the Stallone starrer Demolition Man and John Carpenter's Village Of The Damned. 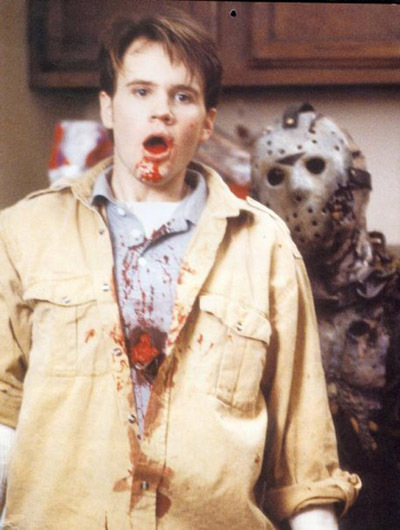 Will is best known by Friday The 13th fans as Michael in Friday The 13th Part 7: The New Blood. He has some great stories to tell about his time on The New Blood and his other films and now Will is heading to the beach! The talented actor was just announced to be added to Blood At The Beach III, a fun convention event that takes place in Virginia Beach, Virginia the weekend of May 10-12, 2013. Michael joins fellow The New Blood alumni Lar Park Lincoln (Tina) and Jason Voorhees himself Kane Hodder. For more information for the show, please visit www.bloodatthebeach.com!